Bollywood as an industry is rapidly changing and it is becoming professional and very cut-throat. But, one family, which has played an immense role in the evolution of Hindi cinema is the Kapoor family. Today is the birth anniversary of Shashi Kapoor. The legendary late actor has been rated as one of the best film personality across eras. Now, Rishi Kapoor, who is the nephew of Shashi Kapoor took to his Twitter account. 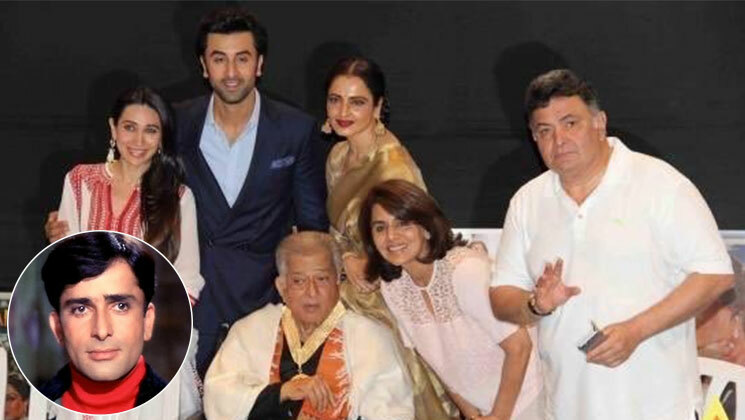 The father of Ranbir Kapoor shared a nostalgic pic and wrote a very moving message. Shashi Kapoor breathed his last on December 4, 2017, at the age of 79. The actor had played some of the memorable characters in the Hindi films and was known for his charm and charisma. The late actor had acted in iconic films like ‘Deewar’, ‘Roti Kapda Aur Makaan’ and numerous other movies. Coming back to Rishi Kapoor, he is currently in the USA allegedly undergoing treatment for cancer. Though, no one from his family has made any revelation regarding his health status. Rishi is known for speaking his mind and believes in calling a spade a spade.